This map is not a mod, simply my favorite forge map that I have created to date. The Covenant have discovered a forerunner data core filled with vast technological knowledge and are attempting to reverse engineer the data. 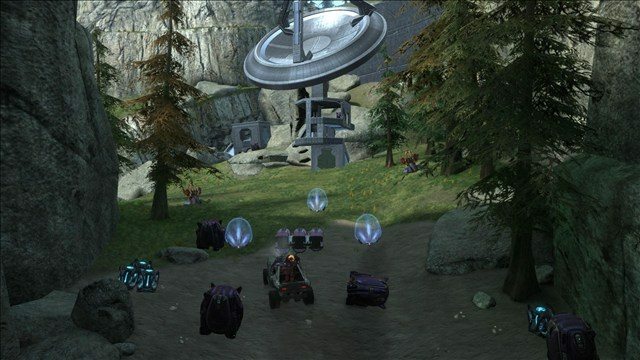 The UNSC has learned of this plan and has deployed a unit of elite Spartans to engage the Covenant and recover the data core for the UNSC. 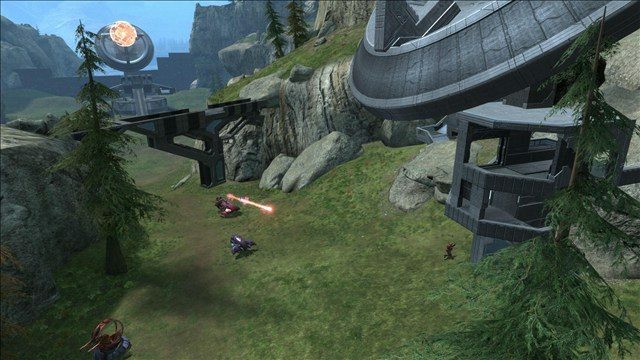 Relic Defense is a large map designed for Invasion and Big Team Battle. It features a large degree of vehicular combat and an emphasis on teamwork. If you do not work as a team, the other team will pull a huge advantage on you because of the wealth of tools at their disposal. 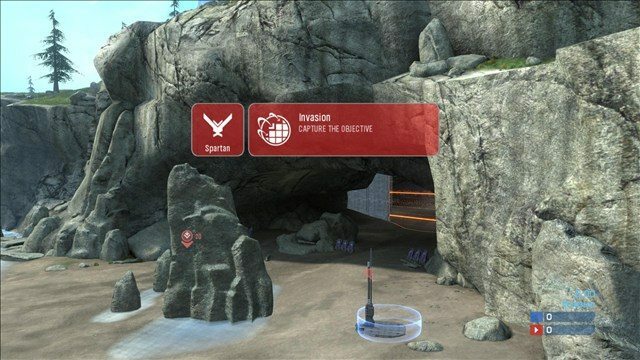 The map is mostly a large canyon with 2 huge bases, and some neutral territory in between. You can play with any amount of players, but due to the maps large size, its intended for large scale encounters. 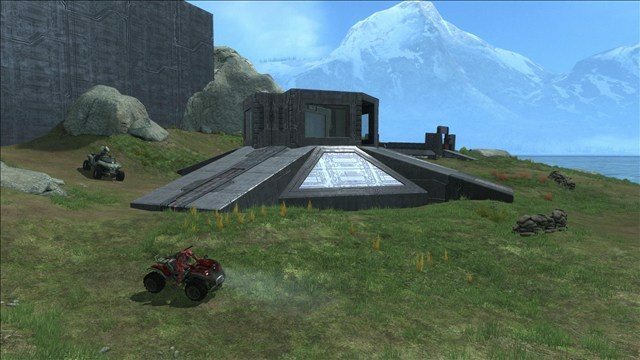 The Spartan base is much smaller and more open then the Elite base. It features sandbags and a sniper rifle at the front, a Falcon landing pad on the side (along with a gauss warthog), and a slew of other vehicles in the back. The base itself is split into 2 chunks, the front is where people spawns, and the back is where weapons are stored. There is also a Scorpion in front of the base in Big Team Battle. 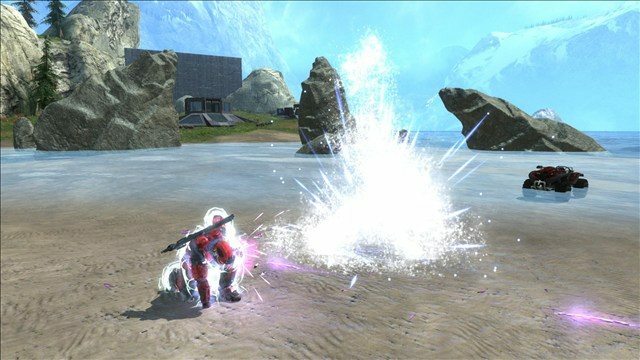 The beach holds a great deal of importance in invasion, as it has two outposts the Spartans will need to capture in order to proceed. It also has a Scorpion during phase 3. The main canyon is midway between either base, and as such will see a great deal of importance in both gametypes. 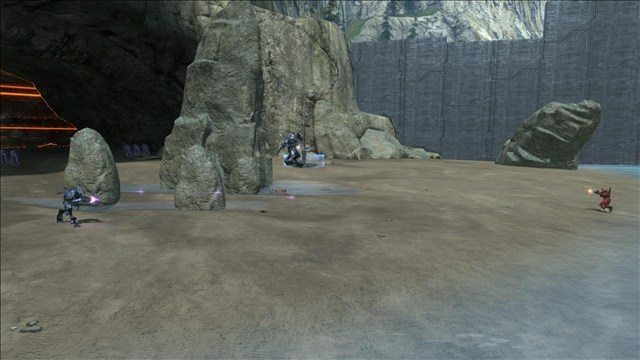 In invasion, shade turrets are mounted outside the cave to help enforce the barricade. 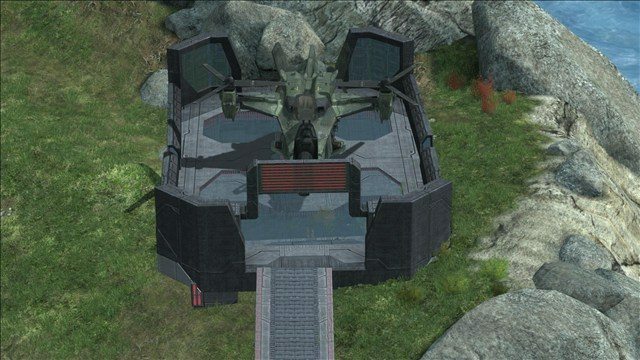 It also has Sniper Tower and an outpost to the side, which both hold capture points in invasion. Moving onward theres a bridge which can be accessed with a jetpack and offers a good vantage point, albeit leaving you exposed to fire. The Covenant base is heavily fortified. The top layer has two banshees(phase 3) and a shade turret to help defend the base. There are two towers jutting from the structure that are equipped with needle rifles. A Wraith(phase 3), two Revenants and a ghost lie on either side of the entrance. 1 level down lies the armory, which has an opening where you can drop down to the core in Invasion. The third level is only exposed in invasion, and has the core inside. 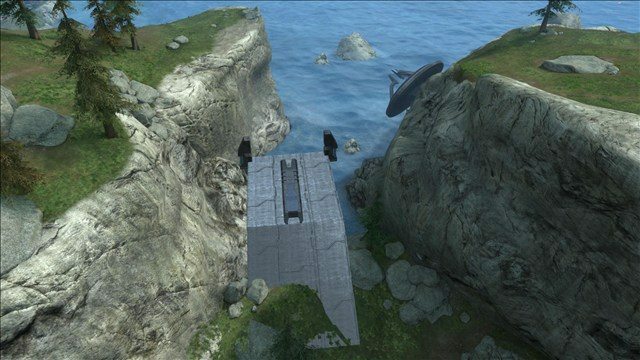 When the Spartans obtain the core, they must hurry to the Forerunner Dry Dock for evac. 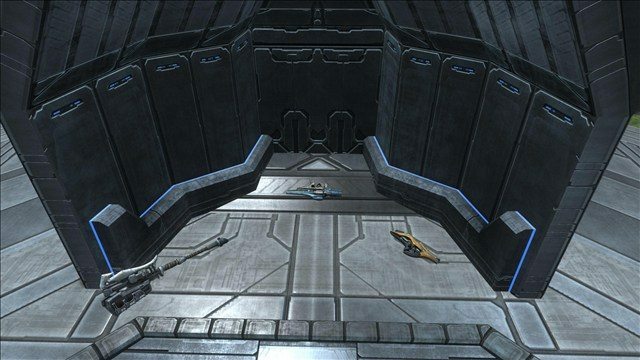 Due to its close proximity to the Covenant Base, it is a quick and brutal battle to make it to the extraction point. I hope you all enjoy this map. It was a great deal of fun to make, and alot of people helped with it (too numerous to mention). A lot of ideas blended together with mine to arrive at this (in my opinion) amazing map. I can only hope you like it as much as I do.